ArtSites includes a basic blogging system. Here are the instructions on creating a blog post. Fill in the 'Date'. Blog posts will be displayed with the newest post at the top of the page. 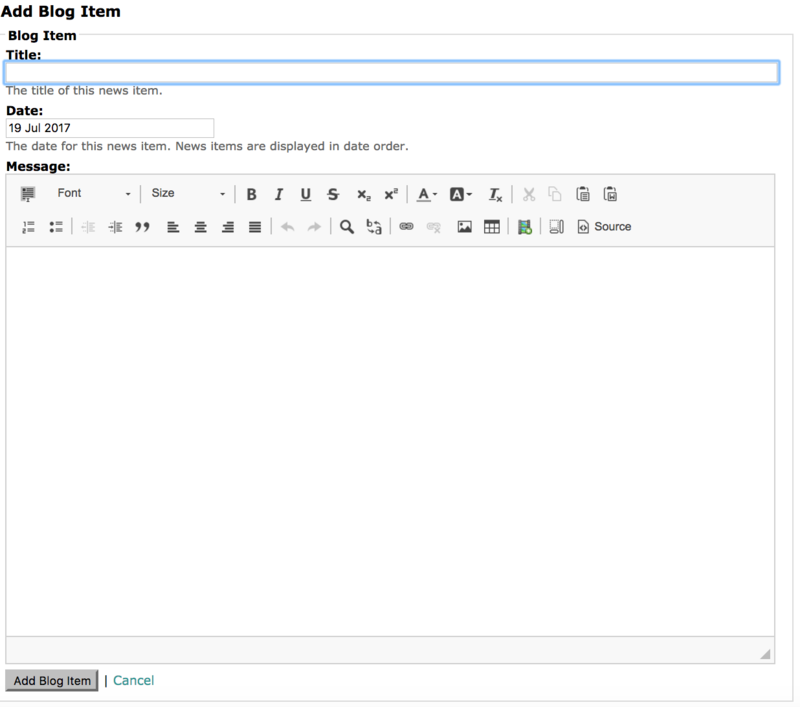 Click in the 'Message' text box and wrtie your blog post. It can include text, images, videos, etc. Be sure to click the 'Add Blog Item' (or 'Add News Item') to save your work! You can now go to your website to see your blog post. Once you have a blog post, you also have the option of sending it to your mailing list. We recommend that you only do this periodically, e.g. for Exhibit Announcements, or other events that you want to promote. Here is how to send your blog post to your mailing list.